The Great visionary Leaders and Heads of States of twenty-nine Countries from Africa & Asia came together for the first time in the history of the human being, on the 18th to 24th April 1955, in Bandung, Indonesia. President Sukarno, of Indonesia, Premier Zhou Enlai of China, Premier Jawaharlal Nehru of India and President Gamal Abdel Nasser of Egypt played leading role to unanimously approve and announce Bandung Declaration. The declaration inspired nationalism movements in the two continents, remapped the world politics and set up the foundation for the Afro-Asian cooperation. The declaration was translated into action plans. Under the title of economic cooperation, the Afro-Asian Economic Organization was established. It held its first and second general meetings in 1958 & 1960 in Cairo. The third meeting was held in 1961 in New Delhi and the fourth was in Karachi in 1963. It was then decided to work on sector basis to enhance efficacy and to attain better achievements. Insurance sector took priority and was put on the top of the adopted economic cooperation action programme. A call was accordingly made, in collaboration with the Egyptian Insurance federation, to establish the Federation of the Afro-Asian Insurers & Reinsurers FAIR. It was favourably received and the FAIR Founders’ Meeting was held in Cairo, in September 1964 with the presence of the representatives of twenty Afro-Asian Countries. The aims of FAIR were defined in its statute. 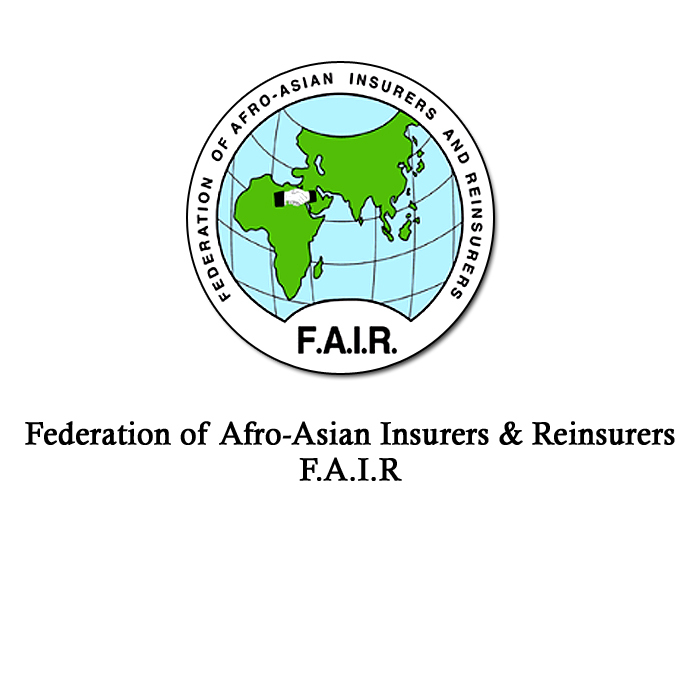 However FAIR, being a professional business association, dedicated to the cause of regional cooperation, and the development of the Insurance Industry in the Afro-Asian Countries, has been able all over the years, to adapt the changes, to review its priorities, to redefine its strategies, and in the mean time, to continue preserving its identity and principal goals. Many accomplishments have been realized, for which all of us feel proud. FAIR has succeeded to enlarge its domain in Africa and ASIA and to encourage more members to join. The number of Member Companies in 2013 reached 256 members representing 51 Afro-Asian Countries, in addition to the correspondent members from Europe. Nineteen Afro-Asian Brokerage Firms also, joined FAIR Brokers Society under the umbrella of FAIR. All Members are working together, confirming commitment and loyalty to the ideals of FAIR, and boosting cooperation with their partners worldwide signifying the international nature of Insurance in theory and practice. FAIR devoted special attention to the formation of Pools to enhance cooperation, to develop business relationships and to increase underwriting capacity and retention of members. 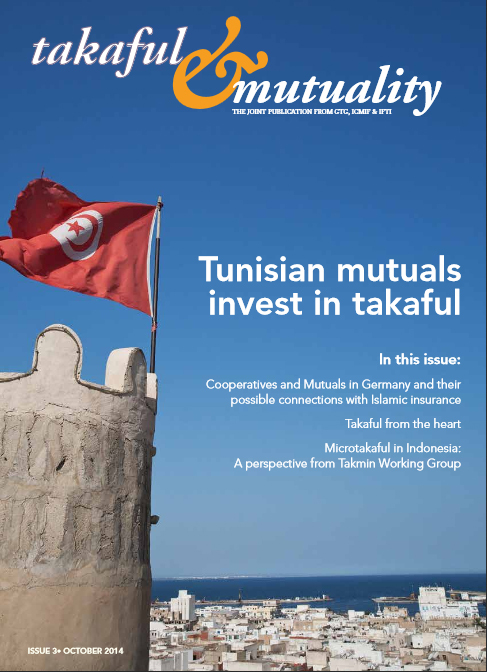 The International Federation of Takaful and Islamic Insurance Companies (IFTI) is helping to explore opportunities for Takaful in Africa and supporting the region's operators. INCEIF was set up in 2005 by Bank Negara Malaysia (the Central Bank of Malaysia). It is one of many initiatives undertaken by Malaysia to develop and nurture talents and experts under the MIFC (Malaysia International Islamic Finance Centre). The Chairman and Chancellor of INCEIF is the Governor of Bank Negara Malaysia, Tan Sri Dr. Zeti Akhtar Aziz. INCEIF is governed by a Governing Council which is chaired by a Director and comprises representatives from the financial industry, regulators and members of international repute. The Senate, i.e. the Professional Development Panel is also chaired by a Director and comprises of CEOs from Islamic banks and Takaful companies, regulators and representatives from the financial industry. INCEIF offers four postgraduate programmes in Islamic finance, namely Masters in Islamic Finance Practice, Chartered Islamic Finance Professional (CIFP), Masters in Islamic Finance and PhD in Islamic Finance. To complement its mission to produce world-class talent for the global Islamic finance industry, INCEIF, as a knowledge leader in Islamic finance, offers industry-focussed executive education that includes customised executive programmes. INCEIF’s research unit carries out academic and commercial research which provides trend analysis, economic growth indicators and specific cross border business strategy. INCEIF's President and CEO, Daud vicary Abdullah, tackles the common misconceptions about Islamic finance, and discusses its role and potential in the global financial landscape. 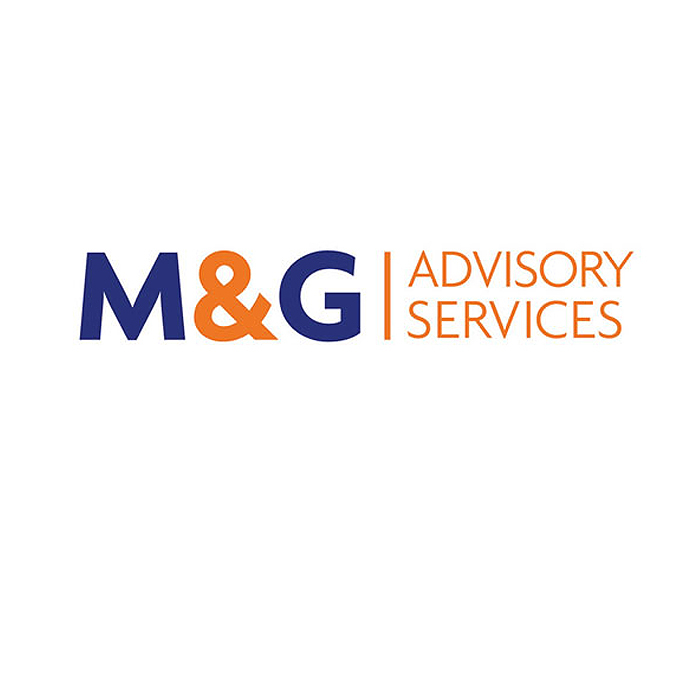 About Us M&G Advisory Services exists to provide expert consultancy services to friendly societies and other mutual insurers, their directors and executives on regulatory and constitutional matters, including transfers of engagements, corporate governance and amendments to rules. By specialising in the mutual sector and keeping our overheads to a minimum, we provide our services at a price that all societies will find competitive and even the smallest societies can afford. M&G is a joint venture between Richard Martin who retired from the Financial Conduct Authority in 2014 after 42 years as a regulator of friendly societies and John Gilbert who has advised friendly societies and mutual insurers at the law firm Hogan Lovells for nearly 30 years. Between us we have over 70 years’ experience in the sector and have been involved in most of the major transactions involving mutual insurers over the last few decades. In particular, Richard has worked at the FCA and its predecessor regulators on nearly every friendly society transfer of engagements under the Friendly Societies Act 1992, which has given him a unique insight into all aspects of the law and regulation of friendly societies. His direct responsibilities at the regulator also covered corporate governance and change of control applications under the Financial Services and Markets Act 2000. As well as working on numerous of transfers of engagements, John was the lead legal advisor to the sector on Project Chrysalis and on the Mutuals Deferred Shares Act 2015. His wide experience in the sector has included the incorporation of registered societies, s166 investigations into corporate governance and the drafting of the current rules of many societies both large and small. He is a member of the Regulatory Committee of the Association of Financial Mutuals. M&G recognises that small friendly societies have no less need of high quality advice than larger societies but that they do not have the budgets to afford the hourly rates charged by larger advisory practices. M&G offer unparalleled expertise and experience but at a reasonable price: we operate from our own homes and concentrate on the area we know best: mutual insurers. We are a partnership of two individuals: we do not delegate work to less knowledgeable assistants and we carry no management overhead. Although we advise on regulation, we ourselves are not a regulated firm because we do not carry out any activities regulated under the Financial Services and Markets Act 2000 or the Legal Services Act 2007. M&G is an associate member of the Association of Financial Mutuals. ICMIF aims to promote and work with the cooperative and mutual insurance sector globally by providing valuable, cutting-edge information and services to members and by representing the interests of the global cooperative and mutual insurance sector. 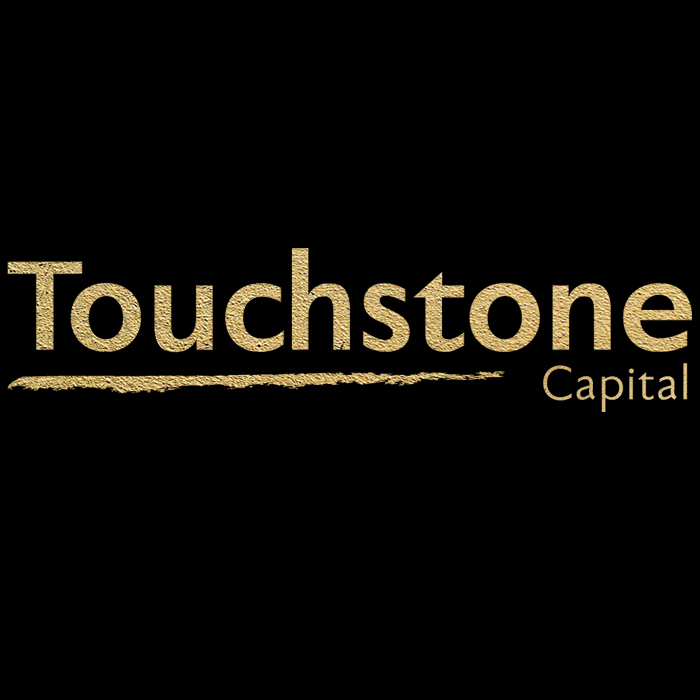 Touchstone Capital is a Real Estate, Infrastructure, and Islamic Finance advisory house focused primarily on opportunities in the United Kingdom. Touchstone Capital offers clients long-term Real Estate and Infrastructure solutions, and develops innovative Sharia Compliant products to bring to market. MiddleEast Insurance Review (MIR), launched on 1 September 2006, aims to meet the information needs of insurance practitioners in the Middle East and North Africa (Mena) region and the global takaful industry. With our track record in publishing Asia Insurance Review, we are confident that MIR will quickly become the premier comprehensive professional regional magazine read by key decision makers in the industry within the region and globally. Update We cover not just the news within the insurance sector but also target the people and issues of vital importance to the development of the Mena insurance industry and global takaful industry. Islamic Finance news (IFN) is the company’s principal publication. IFN is a digital, subscription-based publication available online and through smartphone and tablet applications. Published weekly, the journal provides exclusive and comprehensive coverage of the global Islamic financial markets through in-house analysis and expert external contributions; in addition to a daily news service, additional quarterly supplements and a variety of special annual issues. Differentiated by a decade of trusted relationships across the industry, IFN is able to leverage an unrivalled network of contacts and connections to provide unparalleled insight into the issues affecting global Shariah compliant markets: along with in-house analysis, news, interviews, reports, industry and sector data, and much more. With an archived website containing over 60,000 exclusive reports, the IFN portfolio also hosts a suite of proprietary tools including the industry’s largest interactive terminology glossary, a directory of over 4,000 global Islamic financial institutions and a portal to Islamic Banking Intelligence, the most comprehensive source of segmented Islamic banking financial data. 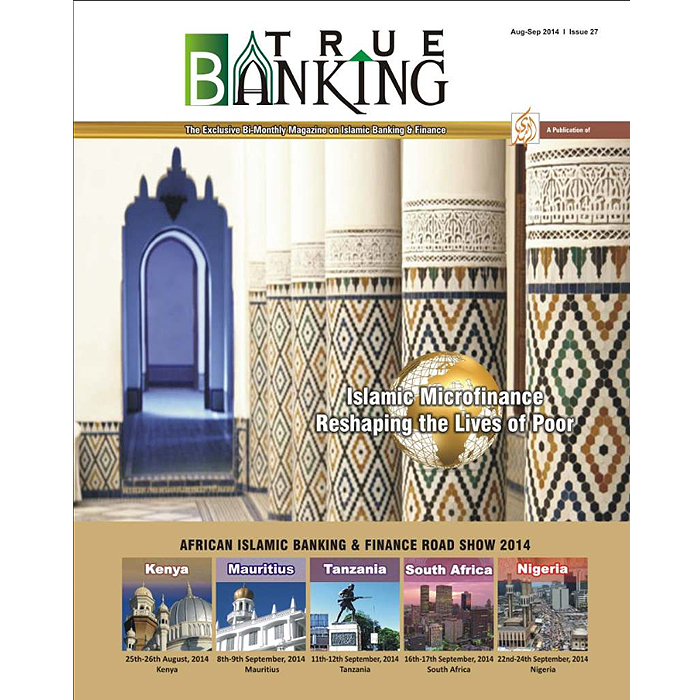 True Banking is a Bi-Monthly magazine on Islamic Banking & Financial Services sector with specific target on research development, market analysis, Training & advancement in this sector with focusing of development of Islamic Banking, Takaful & Investment. The prime aim of True Banking to create harmony, awareness & innovation in this sector. It is another addition to AlHuda CIBE achievement in the direction towards promotion and development in Banking Sector. Editorial Policy: Independent Editorial Policy for the strengthened of Islamic Banking and Finance Industry Worldwide, with in depth Investigation reporting unbiased Industry Analysis and Introduce New Islamic Financial products to the Industry worldwide. Islamic Economist is a bi-monthly magazine of Attijarah Centre of Islamic Economics, dedicated to the dissemination of education and information of Islamic Economics & Finance in a broader perspective keeping in view fulfilling the theoretical, academic, practical and educational needs of the society. Insha Allah. 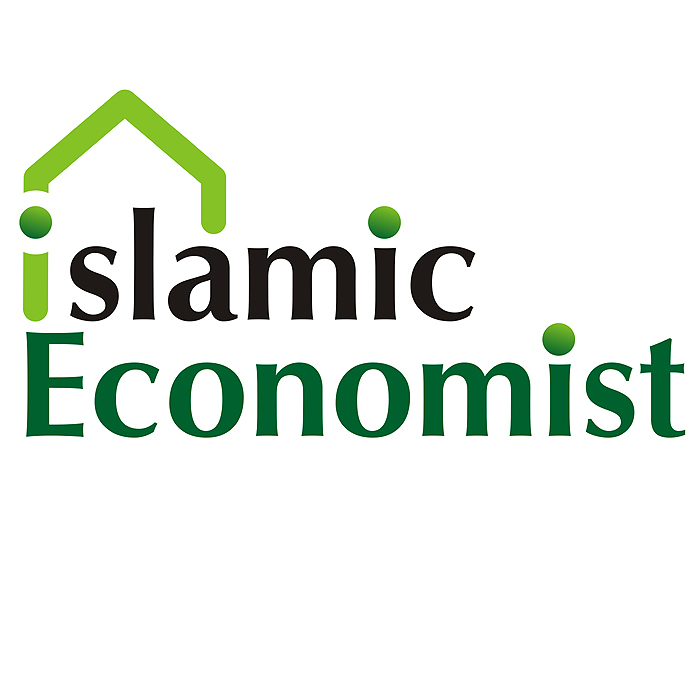 The Islamic Economist is aimed at researchers, Islamic bankers, scholars, students and the general reader. 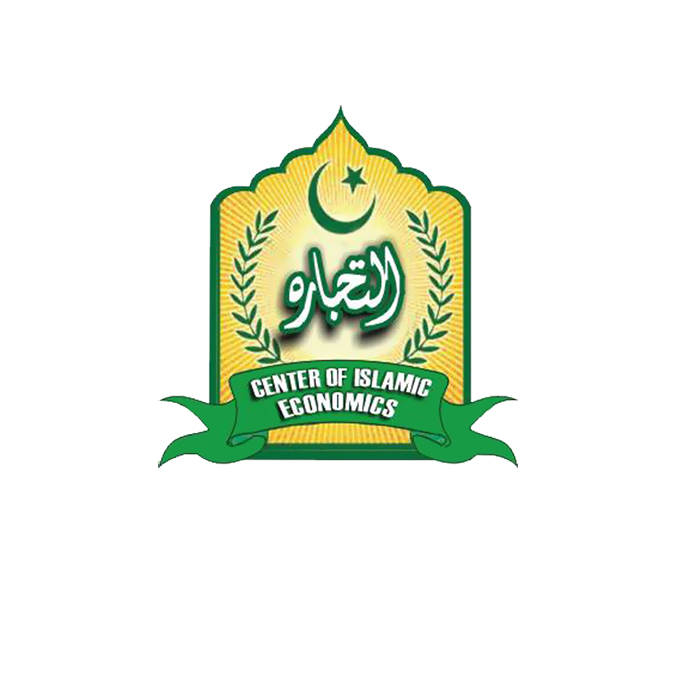 AlHuda Center of Islamic Banking and Islamic Economics (CIBE) is a recognized name in Islamic banking and finance Market for trainings, research and advisory over the last six years. The prime goal has always been to remain stick to the commitments and provide state-of-the-art Advisory Consultancy and Education through various well recognized modes viz. Campus programs, Distance learning programs, Trainings Workshops, Awareness Programs and Islamic Micro finance Products Development all side by side through our distinguished and generally acceptable and known Publications in Islamic Banking and Finance. We are dedicated to serve the community as a unique institution providing trainings, education and consultancy in the field of Islamic Banking & Finance not only in Pakistan but all over the world. We have so far organized more than 300 trainings. IIBI is one of the world's leading independent academic and research organisation solely dedicated to the promotion and implementation of Islamic finance. The Institute has come a long way. It is the only organisation of its kind in the west, and has made a significant contribution to the education and training of people in Islamic banking and Insurance through a post-graduate diploma course, publications, lectures, seminars, workshops, research, Shariah advisory services and a highly informative user-friendly web site. The Institute is intending to introduce other courses by distance-learning in 2007, such as a Certificate for beginners and two Graduate Diplomas. Published in Arabic and English language and specializing in up-to-date news, articles, reports, and studies, in Islamic banking, ICMs, Fiqh Moamalat (Islamic Commercial Law), and Islamic economics in general, the magazine is published by the Arab Islamic Center for Economical Research and Studies website "AICERS.ORG", which is a center specializing in research, studies, reports and consulting services in multiple areas of the economy in the Arab and Muslim worlds; areas such as: conventional and Islamic banking, regular and Islamic Capital markets, traditional and Electronic Commerce, and others. 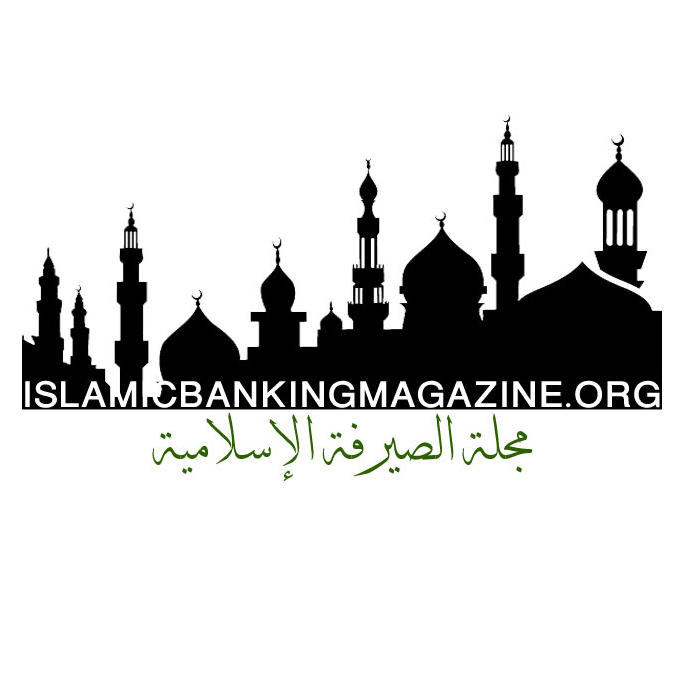 "IslamicBankingMagazine.com", aims to provide an appropriate structure for the delivery of information related to the Islamic economy and banking in order to provide Practical and informative support to all institutions working in those fields and their employees, in particular, or who wish to familiarized themselves with this new and evolving industry, and take advantage of all those whom are interested in economics and Islamic banking. All this is aimed towards providing knowledge support which is necessary to improve the industry of Islamic banking in particular and the economies of Arab and Islamic countries in general, and apply in practice the slogan of our Magazine (supporting the Islamic banking and finance industry and the principles behind it). At the beginning of the 90’s, a group of businessman and journalists decided to launch a business magazine, in parallel to the reconstruction process that was taking place all over the country. The magazine would cover various parts in different sectors of production and services. And so was born AL MORAKEB AL INMAI. On October the 6th, 1991, the issue number 1 was released, and since that date this monthly publication continues to be regular. Nowadays the economy has become the center of the daily life. It’s no more exclusive for a certain category or class of persons or certain societies. It became a crucial part of our present life as well as the future… The business magazines in the Arab World are number limited likewise their expansion, which makes it barely compatible with the every day’s facts in all its perspectives. AL MORAKEB AL INMAI deals with the economic event and provides it with sufficient studies and analyses, focuses on its political and social perspectives, and introduces the facts in a simplified yet professional style to the businessmen and experts as well as to the academic students and the reader globally. 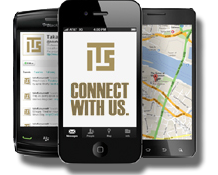 The leaders in both production and services sectors. University students, professors and experts. Al Morakeb Al Inmai Magazine is published in Lebanon and distributed throughout the Arab world, the Lebanese and Arab Diaspora and all around the world. AL MORAKEB AL INMAI is active in the banking, finance, insurance, information and communication technology, industry, travel and tourism, transport sectors. 75000 copies are issued every month, among which 10000 are distributed in Lebanon, 60000 copies distributed in the Arab World, mainly the KSA, UAE, Egypt, Kuwait, Bahrain, Jordan, Syria, Qatar, and 5000 in Europe. And as it grows from one day to another, AL MORAKEB AL INMAI becomes more steady and widespread. As a business pan Arab publication, AL MORAKEB AL INMAI deals with various economic sectors, mainly banking, insurance, commerce, local, regional and international economy, information and communication technology (ICT), transport, tourism and hotels, industry, in addition to other non regular sections. The leading Arab economic magazine in GCC and Mena Launched in Beirut 1970 by Al Bayan Publishing House. Al Bayan magazine has the highest share by far for the advertising expenditures in the PAN ARAB market, for the business and economic magazines monitored by Ipsos Mena. Al Bayan reaches all decision makers in key positions of major industries throughout the Pan Arab region. Al Bayan became member of OJD one of the largest organizations specializing in auditing & verifying the circulation of news media; Breakdown: 88,100 Copies. E-replicas of AL BAYAN Magazine can be found via the PressReader & Cedar Kiosk apps Monthly Breakdown: 88,100 Copies Topics: Banking, Investment & Financial Institutions | Insurance | Real Estate | Industry & Trade | Energy & Technology | Transportation & shipping | Leisure services.